Josh Smith – “Black,” “Gun,” “Word,” etc. Rohan Connolly: Collingwood to finish 4th. “A big call, (you got that right, Rohan) but I think the Pies are ready to make some serious finals mischief”. The only mischief we will get up to will be in September on when the Magpie army goes on holidays. My advice? Book early and beat the rush. Jack Frost “Required hip surgery over the summer which restricted him in early training…” Got news for you, it’s still restricting him in winter. Tim Golds “played six games in four years with GWS …” might not get that many games in four years at Collingwood. Mason Cox “A massive American he took great strides in the VFL last year …” Got news for you, he takes great strides wherever he goes. Jarryd Blair “… might find himself spending more time on the ball this season.” I think that should read might be spending more time in the VFL. Jamie Elliott “ … had a limited program over summer because of back issues” Oh really? “They need to hit the scoreboard”. If the scoreboard is on the wing, wouldn’t it be better to kick a goal? Don’t all the players have numbers, on their backs, I think they are. Sounds like when I put honey on my toast. We call it a pill, so I suppose this makes sense. Is this a modern take on the guy who walked the Victoria Park boundary in the 60s exclaiming, “peanuts, shilling a bag, peanuts”? The Dalai Lama is playing AFL now? Carlton and Melbourne supporters with a lot of shavings on them this year. Is that a Ford car hitting someone in the head? What have we learnt so far this season? 1. Witts and Grundy cannot play in the same team. 2. I’ve said in many times, but I’ll say it again, “no Ramsay, no Collingwood”. 3. Jared Tallent was presented with an Olympic gold medal this week because of cheating by the Russian who finished in front of him. On this basis, our 1979 Premiership Cup should be in the mail any day now. 4. If I hear the Jordan/Pippin comparison in relation to the Selwood/Dangerfield partnership one more time I’m going to scream. 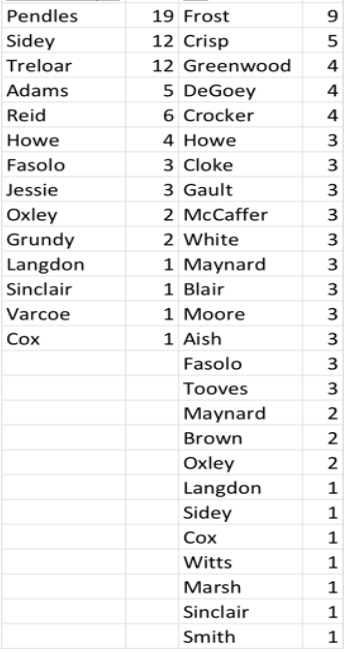 It is interesting to see there are only 14 players who have gained votes for the Horsburgh Medal, while 26 have votes in the Danny Roach Medal. It would indicate that too much is being left to too few. 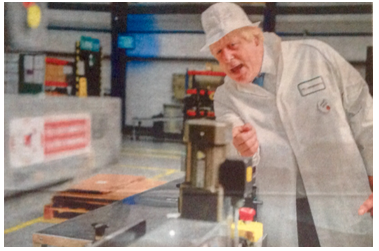 Above is a photo of Boris Johnson, the mayor of London, wearing the goal umpires’ clobber from a bygone era to entice voters to leave the EU. Just for the record, Boris is indicating it was only a behind. Who is the holder of the 1958 Coleman Medal? Trivia answer: Probably a Cash Converters in the back streets of Fitzroy.